This is the season when many of us look for something special in wine, either for the holiday dinners or as special gifts. I have looked through recent tasting notes and have come up with a long list of wines that I would not mind below my tree this year. You need to check each winery’s website to determine where the wines are available. Chances are that you will not find them in government liquor stores; but more likely in VQA stores or in the better private wine stores. Blasted Church Merlot 2009 ($25.99 for 612 cases). Here is another big ripe (14.7% alcohol) red from a great vintage. Richly concentrated in texture, the wine has aromas and flavours of black currant, plum, vanilla and black cherry. There is a hint of chocolate and oak on the juicy finish. 91. Blasted Church 10th Anniversary Amen N.V. Port de Merlot ($30 for 55 cases of 375 ml bottles). Not to be confused with the winery’s Amen Port, this is a wine specially made from the winery’s 1oth anniversary. It is a blend of fortified Merlot from the 2006 vintage, with the addition of wine from the 2007, 2008 and 2009 vintages; the entire blend had extra time in barrel. Clearly, the winery set out to build in considerable complexity. Dark in colour, the wine begins with aromas of plum, prune, black cherry, vanilla and spice. The generous palate presents flavours of plum, black cherry, liquorice, chocolate and espresso coffee. 92. 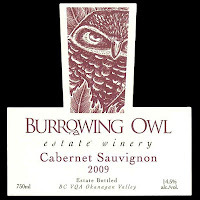 Burrowing Owl Cabernet Sauvignon 2009 ($37.90). This wine struts, beginning with aromas of cassis and mint. The flavours are rich and ripe: cassis, blackberry, plum, with a long, lingering finish. The wine is delicious now and also will age well for another five to 10 years. The wine has just been released in the winery’s on-line wine shop. 93. 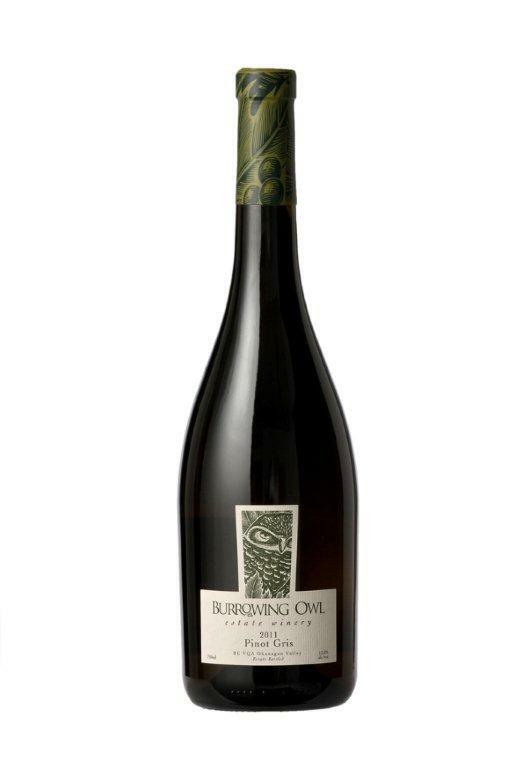 Burrowing Owl Chardonnay 2010 ($24.90). This barrel-fermented Chardonnay begins with aromas of toast, apples and citrus. On the palate, there are flavours of grapefruit, apples and nectarines. The oak contributes a touch of nut and toast flavours to the crisp finish. This is also a new release in the on-line wine shop. 90. 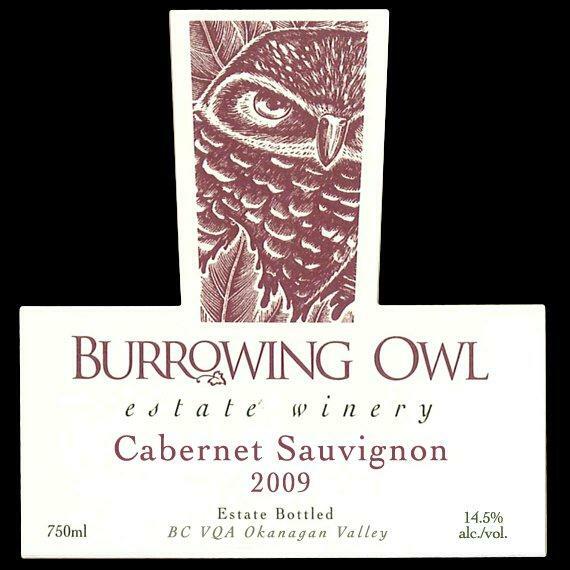 Burrowing Owl Pinot Noir 2010 ($29.90). Dark in colour, this is a generous wine with aromas of toasty black cherries and a big dollop of fruit – black cherry and raspberry – on the palate. The wine is still youthful but the silky texture has begin to develop. There is an attractively spicy finish. A good choice with the Christmas turkey. 90. Cassini Cellars Quattro Rosso 2010 ($29 for 608 cases). This full-bodied gold medal winner is 67% Merlot, 21% Cabernet Sauvignon, 11% Cabernet Franc and 1% Syrah. It is a generous red with aromas and flavours of black currants, plum, chocolate and vanilla. 90. Cassini Cellars Maximus 2009 ($34 for 700 cases). This is the winery’s big red, a blend of 48% Cabernet Sauvignon, 39% Merlot, 12% Cabernet Franc and 1% Malbec. It is swaggering ripe and generous wine with aromas and flavours of plum, currants, vanilla, chocolate and tobacco. 91. Ex Nihilo Vineyards Pinot Noir 2010 ($24.95 for 840 cases). This is a seductive Pinot Noir at a seductive price. Dark in colour, it begins with dramatic aromas of cherries, blueberries and blackberries, leading to luscious flavours of cherry and spice, with the classic velvet texture of the variety. 92. Krāzē Legz Vineyard and Winery Black Bottom Stomp 2009 ($28.95). This Merlot Cabernet Franc blend is still available on the winery’s website. It is a ripe cellar-worthy red even if it is already drinking well. It begins with black cherry aromas and delivers rich flavours of black cherry, blackberry, chocolate and vanilla. 91. LaStella La Sophia 2009 (48 cases available only to the winery’s wine club). This is a richly textured wine with aromas of black currants, figs and cigar box; and with flavours of currants, figs and chocolate, with a hint of cedar on the finish. 92. LaStella Maestoso 2009 ($100 a bottle for 148 cases). This is 100% Merlot, a big, ripe wine with 15.2% alcohol buried in a plush texture of concentrated berries. The wine begins with a luscious aroma of sweet fruit, with flavours of black currant, plum and blueberry jam. This is truly a sybaritic wine. 93. Le Vieux Pin Ava 2011 ($N.A. for 496 cases). This is 78% Viognier and 11% each of Marsanne and Roussanne. According the winery website, it is not yet been released. I can’t imagine why not. The wine has aromas of apple and citrus, with a core of melons, apples and minerals. The finish is crisp and refreshing. 91. Le Vieux Pin Retouche 2009 ($60 for 62 cases). This is a blend of 70% Cabernet Sauvignon, 30% Syrah. The name recalls an old (and no longer permitted) practice of “re-touching” Cabernet Sauvignon with Syrah. The wine is available online, with a three-bottle limit. Dark in colour, it begins with appealing aromas of cassis. On the generous palate, there are flavours of black currant, figs and plum, with a touch of pepper. 92. McWatters Collection Chardonnay 2011 ($29.95 for 295 cases). This is the second release of Chardonnay from Harry McWatters. The ripe style reflects the terroir of his Sundial Vineyard on Black Sage Road, soon the site for Harry’s new Time Estate Winery. The wine begins with aromas of citrus, nutmeg and butter, leading to flavours of tangerine, pineapple and butter with a hint of honey on the finish, even though the wine is dry. 90. Meyer Family Vineyards Tribute Chardonnay 2010 ($35 for 640 cases). Made with grapes from the winery’s Naramata vineyard, this powerful wine has aromas and flavours of tangerine, orange peel and spice. The oak subtly frames the vibrant fruit. 93. Mt. Boucherie Estate Winery Family Reserve Cabernet Franc 2009 ($35 for 112 cases). This is a fine expression of the varietal, with brambly aromas and with flavours of black cherry, blackberry and raspberry. The texture is rich and the finish is spicy. 91. Nk’Mip Cellars Riesling 2010 ($18 for 1,300 cases). This crisp and dry white, with aromas of citrus and a hint of petrol, has a style recalling the complexity of mineral-drive Australian Rieslings at twice the price. 90. Nk’Mip Cellars Qwam Qwmt Chardonnay 2010 ($25 for 927 cases). 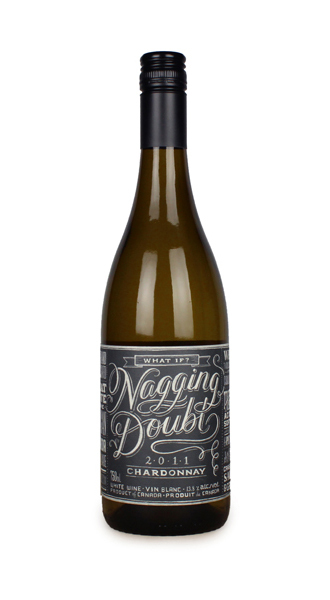 This complex barrel-fermented Chardonnay (including some wild yeast ferment) has lively citrus aromas and flavours, underpinned with toasty butterscotch notes. The fresh acidity of the vintage has made this an age-worthy white Burgundy. 90. 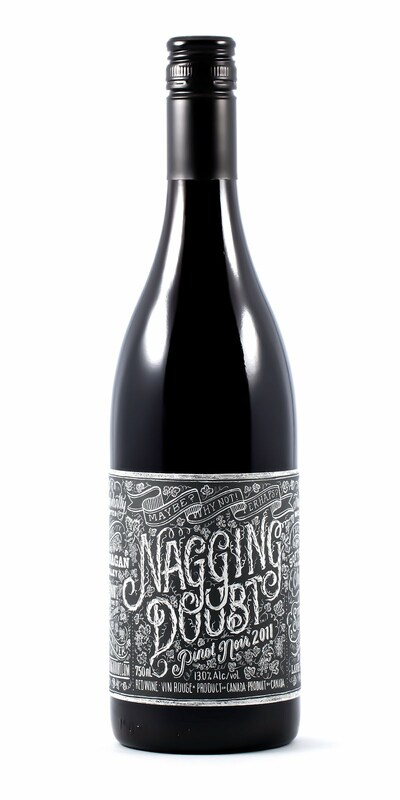 Nk’Mip Cellars Qwam Qwmt Pinot Noir 2010 ($29.99 for 956 cases). Dark in hue, this almost cerebrally complex wine begins with aromas of strawberry and blackberry, leading to flavours of cherry and spice. There is just a hint of oak. The texture is rich and silken but the wine has the structure to age well. 92. Nk’Mip Cellars Qwam Qwmt Syrah 2008 ($34.99 for 883 cases). Big, bold and satisfying, this is one of the Okanagan’s best Syrahs. The gamy rare steak aroma goes on to flavours of black cherry, dried plum, black pepper and spice. 93. Nk’Mip Cellars Qwam Qwmt Riesling Icewine 2011 ($60 for 533 cases of 375 ml bottles). This begins with an appealing aroma of apples and citrus, leading to fruit flavours of pineapples, baked apples and apricot, with a touch of honey. The fresh acidity of the vintage gives a superbly refreshing balance to this elegant Icewine. 95. Painted Rock Cabernet Sauvignon 2010 ($40 for 300 cases). This is an excellent gift for someone prepared to cellar the wine for a few years. It is drinking well now but has even better years (five to 10) ahead of it. It begins with appealing aromas of black currant, plum, cherry and chocolate which are delivered to the palate as well. The wine has firm, ripe tannins, with hints of liquorice, vanilla and cedar on the finish. 92. Painted Rock Syrah 2010 ($35.63). Deep in colour, the wine begins with aromas of pepper, cedar and black cherry. On the palate, there are flavours of pepper, figs and plums. The texture is generous, with just the perfect backbone of ripe tannins and oak to give this wine a long life in the cellar as well. Think of this as a Rhone-style red, disciplined and elegant, with a long finish. 93. Quails’ Gate Chardonnay 2011 ($20 for 5,500 cases). This excellent value begins with appealing aromas of tangerine, peach and hazelnut. On the palate, there is a basket of tropical fruit flavours – peaches, mangoes, mandarin orange, with notes of butter and biscuits. The bright acidity, precisely balanced with a touch of residual sweetness, gives the wine a refreshing, fruit-forward and crisp finish. 91. Quails’ Gate Merlot 2010 ($22.99 for 2,892 cases). This wine begins with aromas of blackberry and blueberry, leading to bright berry and spice flavours, with a touch of pepper. The firm texture signals that this wine needs a few more years in the cellar to peak – although the impatient consumer should decant this for current consumption. 88+. Quails’ Gate Old Vines Foch 2010 ($24.99 for 2,766 cases). This gamey, full-bodied red with its own cult following is made with grapes from 28-year-old Maréchal Foch vines. The wine has cinnamon spice and plum aromas, with flavours that run the gamut from deli meats to spiced plums and chocolate. 89. Quails’ Gate Optima Late Harvest 2011 Totally Botrytis Affected ($29.99 for 715 cases of 375 ml bottles).This is one of the finest dessert wines in the Okanagan, made in the classic Sauternes technique. Quails’ Gate has been making it for more than 20 years. Naturally occurring botrytis (or noble rot) on the ripe grapes causes some dehydration, concentrating flavours and sugar. This wine began with 48 Brix, the same degree of sweetness as Icewine. About half of that sugar remains in the wine, superbly balanced with acidity. The wine begins with aromas of apricots, honey and tobacco. On the rich palate, there are flavours of honeyed apricot and orange peel. This elegant wine has a long, lingering finish. 95. Quinta Ferreira Cabernet Sauvignon 2009 ($30 for 200 cases). Here is a classic expression of a great vintage in the south Okanagan. The wine’s ripe flavours include plum, black currant and black cherry, with a touch of vanilla on the finish. The ripe tannins give the wine a deceptively soft texture … but the structure will carry this wine for three or four more years, if there is any left! 91. Road 13 Chardonnay 2010 ($24). This wine begins with a hint of toast and citrus in the aroma. On the palate, there are flavours of tangerine and grapefruit, with bright refreshing acidity and minerals in the background. The core of tropical fruit flavours linger on the palate. 90. SpierHead Winery Vanguard 2010 ($29.90 for 275 cases; 48 magnums also produced). This is 48% Merlot, 48% Cabernet Sauvignon and 4% Cabernet Franc. The wine spent 18 months in French oak (55% of it new). It begins with appealing aromas of cassis and vanilla. It is bright and vibrant on the palate – like so many 2010 reds – with flavours of black currant, cherry, blackberry and raspberry and with a hint of spice on the finish. 91. SpierHead Winery Pursuit 2010 ($21.90 for 375 cases). This is a bargain Bordeaux blend with 57% Merlot, 27% Cabernet Sauvignon and 16% Cabernet Franc. It also spent 18 months in French oak (44% new). The wine begins with aromas of black currant, blackberry and herbs. On the palate, there are flavours of black currant, coffee and cedar on a firm texture. 89. Stag’s Hollow Renaissance Merlot 2010 ($29.99 for 100 cases). Deep purple in colour, this is a concentrated red that will benefit with cellaring to let all of its expressive aromas and flavours to develop. There is blackberry, blueberry, mocha and spice on the nose and palate. 91. Township 7 Chardonnay 2010 ($19.99 for 818 cases). The wine begins with aromas of baked apples, fresh bread, nutmeg and tangerine. On the palate, there rich flavours of honeyed stone fruit and tangerine. 90. Township 7 Sauvignon Blanc 2011 ($18.99 for 708 cases). Aromas of lime and grapefruit surge from the glass. On the palate, the flavours are herbal entwined with lime and grapefruit. The finish is crisp and refreshing and dry. 90. Township 7 Cabernet Sauvignon 2009 ($25.99 for 428 cases). Dark in colour, the wine begins with aromas of cassis, cherry and vanilla. On the palate, there are flavours of cassis, cherry and chocolate. The long ripe tannins gave this wine a supple, appealing texture. 90. Veteran Okanagan winemaker Mark Wendenburg and his wife, Jacquie, have launched the Okanagan’s first independent wine brokerage, a business whose time has come. Industry reports suggest that the 2012 vintage in British Columbia was a record 35,000 tons. That is expected to generate surplus wine, leaving wineries scrambling to sell excess volume. The Wendenburgs have come along at just the right time. Within days of launching WineAspect B.C. Bulk Wine Brokers Ltd., they were dealing with a couple of dozen clients. “It has been very well received,” Jacquie says. There are also five inquiries from producer that want wine; and Jacquie says that additional offers and requests are being processed. The idea came to him because he had begun fielding requests in his other business, Wendenburg Wine Consulting, to handle bulk wine sales (and he did a few transactions). “It is such a different business that I thought it made sense to start it on its own,” he says. So he teamed up with his wife. She handles the administrative chores while Mark makes sure the wine samples are sound and marketable. 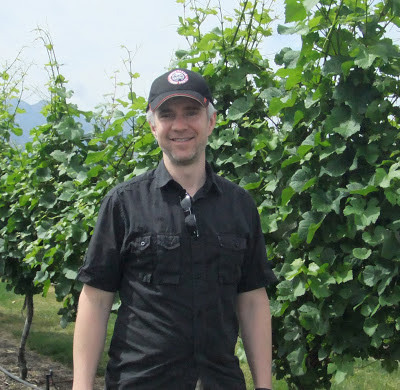 Mark, who was born in Penticton in 1961, the son of a grape grower, has been involved in the wine industry since 1980, including training in Germany from 1982 to 1987. On his return to the Okanagan, he worked at Brights Wines and then became involved a trial sparkling wine project at what is now the Blue Mountain winery. In 1992, he joined Sumac Ridge, taking over, among other duties, the production of Steller’s Jay sparkling wine. He left Sumac Ridge in 2010 to become a consulting winemaker, with Blasted Church Vineyards and Backyard Vineyards now his major clients. Jacquie was born in Switzerland and met Mark when he was working at a winery there. She brings a rich background in customer service and administration to the wine brokerage business, including 10 years as an international flight attendant for Swissair. “He is going to be the front man and I will do the leg work,” Jacquie says. The strength of their business includes the credibility that Mark has earned within the industry. He is someone that everybody trusts, and in the business of trading wine, that counts for a lot. Many wineries already trade or sell wines but there has never been a well-organized brokerage before. To begin the process, a winery will send Mark samples, along with a technical analysis of the wine. If Mark decides that the wine is sound, the offer goes up on the WineAspect website. Mark and Jacquie will handle negotiations, confidentially, between seller and buyer. When a deal is completed, they will charge each party 3% of the sale price of the wine. There is a flat fee of $100 to each party if the volume handled is 500 litres or less. The buyer is encouraged to do his own technical analysis and Mark keeps a spare sample of the wine to ensure there are no changes in the wine between the offer and the sale. However, WineAspect itself does not guarantee the wine. Wineries have various reasons for selling bulk wine. It may be surplus to their blending needs or to their portfolio. They may have made the wine because they agreed to take extra grapes offered by one of their growers. They may need a bit of cash quickly. Similarly, the reasons for buying someone else’s wine are numerous. A winery may need to fill a hole in its portfolio; or complete a blend; or put together blends for export.